If your toilet overflows or you have a leaky roof, call our water damage Slidell experts with 911 Restoration New Orleans. With 24/7/365 availability, our water damage and mold removal Slidell technicians arrive within 45 minutes of your call. By arriving quickly, our customers avoid acquiring more structural damage and an expensive repair bill. It only takes water 24 hours to start building bacteria and mold, so don’t let a small water leak turn into a bigger disaster. 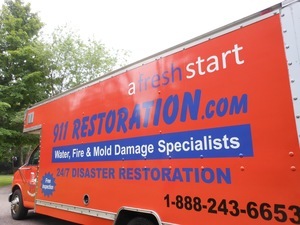 If you are concerned about a water leak or mold infestation in your home, call our water damage Slidell and mold removal Slidell and water damage Slidell experts with 911 Restoration New Orleans. Mold can develop fairly quickly if water is not removed as soon as it is discovered. Once it has found its way into your home, all mold needs to produce spores are darkness and humidity. The longer water remains stagnant, the more bacteria and mold it will develop. Our water damage Slidell and mold removal Slidell experts know that mold can easily spread but even though it may not be visually obvious. Since mold may not always be as obvious as black stains on your walls, it is possible for hidden moisture to linger in your walls, ceiling, and floors. The only indicator of mold growth you would have experience would be a damp and musty odor. With the help of state of the art water equipment and advanced technology such as infrared cameras, the water damage Slidell and mold removal Slidell are able to detect lingering moisture hidden in all of those hidden areas in your home. Our number one priority is to make your home safe and comfortable once again for you and your family. 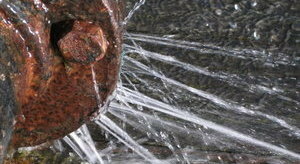 If you discover a water leak, be proactive and call our water damage Slidell and mold removal Slidell experts today! As our customers, we work to provide you with peace of mind. Our experienced project managers will break down the explanation of your homeowner’s policy and help you prepare the documents you need to file your claim. We understand how overwhelming this situation can be for you and your family, so we will do whatever we can to make this less of a stressful situation. Your assigned project manager will even offer to handle your insurance claim for you. This way you can focus on your family while our technicians meet with adjusters and your project manager contacts your insurance rep.
Don’t feel overwhelmed by a water leak, call our water damage Slidell and mold removal Slidell experts with 911 Restoration New Orleans. Your Fresh Start is one call away!